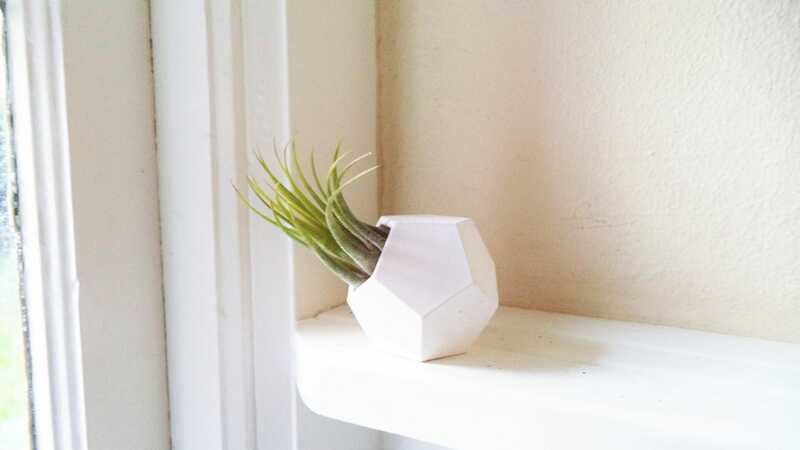 This dodecahedron is now available in multiple sizes! See my shop for a larger size. 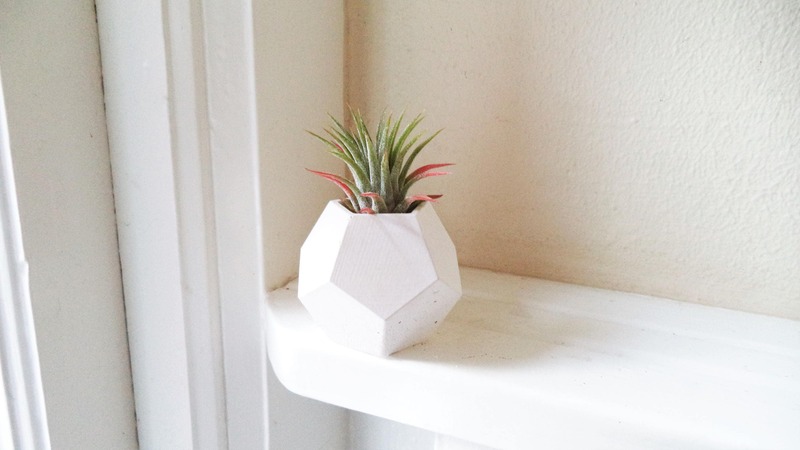 Listing is for 1 small dodecahedron with an air plant. 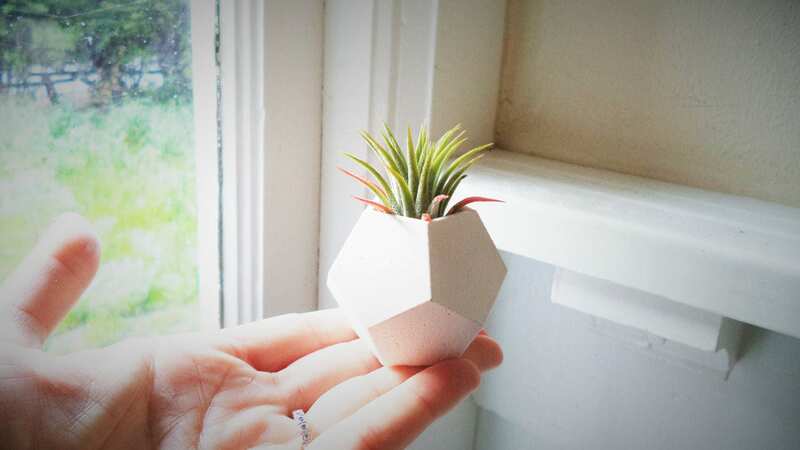 Please note the size as shown in photos... designed to hold an air plant... not rooted plants. 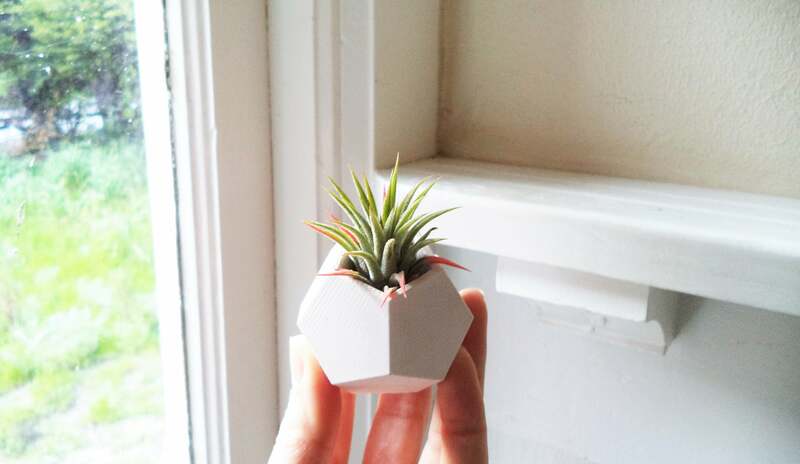 This little cutie looks great on its own, or clustered.... placing 2 or 3 of them on different facets gives them each a unique look! See the color options and send me any special requests. Shown here in matte white. Nice little planter. Thanks for the added gift!